The menu bar located at the top of every page at IMDb has links to our main site features. All our pages also include a search box to quickly locate any movie, TV show or person. We also have a very comprehensive index with an alphabetical list of the most popular features available. If you are not sure of what you are looking for, you can also browse titles by genre or keyword. If you are looking for specific titles or people and need more powerful search functions, you should use our advanced search feature (on desktop site). For example, you can search for titles by specific genre, country, language, or year; you can also search for title by Instant Watch Options (IMDb Freedive or Prime Video) or search for people by specific gender or star sign. From the Advanced Search page (https://www.imdb.com/search/) you can do the following: Advanced Title Search, Advanced Name Search, Search Collaborations (Two People in the Same Title, Two Titles with the Same People). 1. From any IMDb page, select Advanced Search from the drop down menu next to the search text box at the top of the page. This will bring you to the Advanced Search page (https://www.imdb.com/search/). 2. 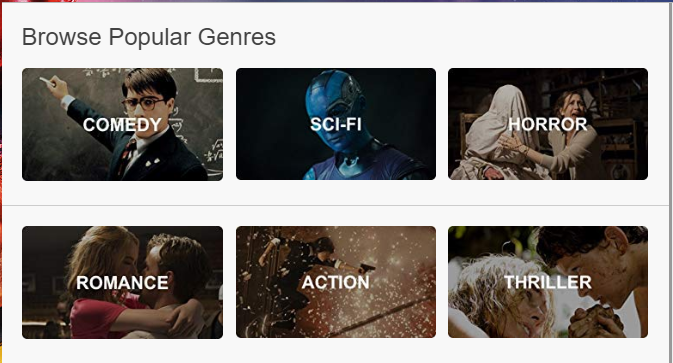 From the Advanced Search page select Quotes from the drop down menu under Search Within a Topic: Movies, TV and Video Games. 3. Enter the quote in the search box. 4. Click the blue Search button. Titles with Quotes Matching "had me at hello"
If you work in the entertainment industry, you can find even more useful information on our membership service, IMDbPro, an expanded version of IMDb offering additional features specifically aimed towards industry professionals, including contact and rep information.